It is a noticeable trend across the globe ,and more so in the urban areas that men are goind bald on the head and women are becoming a little more hirsute and hairier than the yesteryears. The hair growth on the body areas is undesirable, more so for women. But now an increasing array of very hairy men are also thinking of reducing the unwanted excessive hair growth ,if not completely getting rid of it. Consequently ,both men and women are undergoing various methods of hair removal varying from waxing, shaving, epilating to Laser hair reduction. 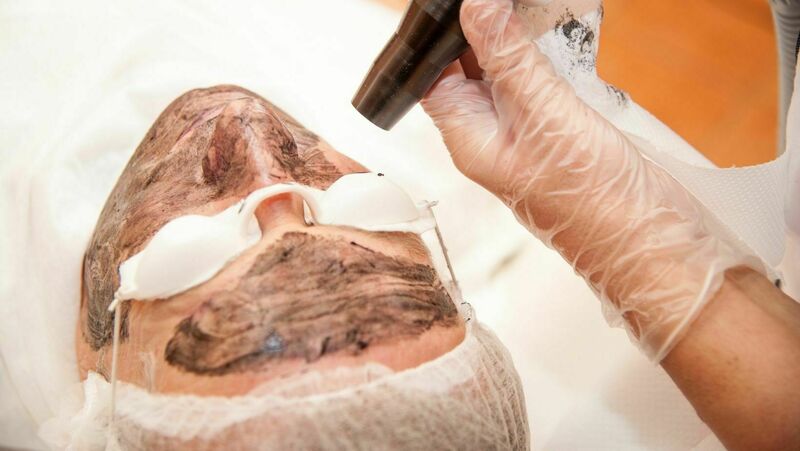 Even though the excessive hair growth appears to be a cosmetic problem and shows up on the outside,it is very important to rule out internal hormonal imbalances .This makes a consultation and follow up with your physician, aesthetic doctor or dermatologist imperative before commencing as well as during the the Laser hair reduction treatments. Many a times it has been seen and experienced widely by patients that the Laser hair reduction does not work as per their expectations. The main reasons for Laser hair reduction to not work as per the patient expectations are usually hormonal , racial and genetic factors . Appropriate response may not be achieved also if the laser device chosen is not best suited for the concerned patient’s skin and hair type or if the laser device is not operated at an optimum frequency /energy because of certain factors. Sometimes,there is a good initial response but the fine hair remain and become unresponsive after a few sittings. In such cases, lasers like diode Laser hair removal may not be sufficient for treating the fine hair and changing to a different Laser like the Alexandrite might help considerably. In many patients with excessive hair growth, thyroid problems are also noted and so it is important to undergo evaluation of hormones under supervision. Problems like PCOD, prolactin excess and androgen excess may contribute to increased hair growth and may reduce the response of the treatments. It should also be noted here that many a time, the lab investigations and ultrasounds and commonly used tests prescribed come out to be normal in patients, but they still may have an underlying hormonal problem. Sometimes, despite everything being in place there maybe end organ hypersensitivity in the patients to hormones which may increase the rate of hair growth. The Laser hair reduction unfortunately has become a very widely and commonly misused and misinterpreted term. There is so much variation in the type and brand of the machines, the technology behind the equipments of Laser hair reduction, that it deserves a more detailed and clear cut discussion. While choosing a machine for any Centre, the cost of equipment and the expected usage is paramount. Most commercial centres choose the equipment based on these two parameters only. On the other hand, the doctors or Dermatologists choose an equipment based on the performance and on the quality of the various technical aspects of the laser so that they can derive the best results from the machine for the benefit of the patient. Out of the hundreds of brands of lasers available, only a very few are actual benchmarks e.g, Laser Light by Alma soprano ice, Luminous light sheer diode and the German Esclepion all of which are amongst the top few manufactured brands in the Laser industry. While choosing a laser device ,we also look for the best possible cooling mechanism in the handpiece and for the peak power of the equipment; any power above 2000 watts is considered to be a decent Laser hair reduction device. As mentioned before,most conventional devices are using only Diode as a laser light wavelength for hair removal but in cases where after using Diode, the issue of fine but persistent hair exists, Alexandrite laser comes in handy. As not all individuals and their hair are the same ,similarly not all Alexandrite lasers are created the same. Amongst the Alexandrite laser brands, the Alma Soprano Ice scores massively in terms of balancing the efficiency, safety and patient comfort. Since the Alexandrite can be more painful in some skin types than diodes,we depend on this latest technology for Laser hair reduction along with efficient cooling to make the treatment extremely comfortable or painless. Talking of painless lasers ,all lasers have been marketed as painless Laser hair reduction devices, which can be quite misleading too;When we are destroying the hair and using a decent energy ,there can be a stinging sensation and the experience can only be diminished with the help of newer supportive technologies inbuilt in the new generation better brands of lasers. For example, if the cooling in the laser device is of very high quality then the laser becomes much safer and much more comfortable. There are other solutions for hair reduction, besides lasers, comprising of modern as well as traditional medicine.,diet and lifestyle changes. There are many old, time tested (not lab tested) ways of hair reduction which need a lot of understanding and time commitment for their proper use and efficiency. In those interested, the naturopaths at our set up can guide in using those methods in conjunction with the laser therapy. For the patients with hormonal problems like PCOD and androgen excess, along with Laser hair reduction ,managing the hormonal problem is of paramount importance. The hormonal problem can be managed by using the classical medicinal approach like using birth control pills or other hormonal medication.As the endpoint of such treatments and the relapse rates are very high,we choose to sometimes take a balanced approach of using such medication when necessary for as short a time as possible and combining it with the traditional/ alternative medicine approaches to bring back the balance in the body. At Sparsh Heal Thyself ,with the practice of integrative medicine ,we try and incorporate principles of modern medicine and or either of Ayurveda, Siddha or naturopathic approaches to tackle the hormonal imbalances. There are dedicated programs for hormone balance and metabolic balance including weight balance .The result is a more holistic and integrative approach towards a common problem. The programs are designed in such a way to minimise the investment in time used and maximize the benefits for the patients and reduce the pill burden which means reducing the total amount of medication consumed in any form. At Sparsh Heal Thyself Holistic skin care setups we feel that only external and skin deep treatments are not enough for proper management of skin problems and one must look into modifying the inside to look better on the outside.